Medical tourism is not a recent global phenomenon; it dates back to thousands of years, when Greek pilgrims travelled all over the Mediterranean to the small territory in the Saronic Gulf called Epidauria, a medical tourism destination of that era. With the advent of globalisation and culture of consumerism, there is an increasing tendency among people to travel in search of better quality and affordable health options. Medical tourism includes medical treatments, wellness and alternative medicines. Medical tourism is gradually transitioning towards medical value travel that also includes capturing a patient’s healthcare-seeking behaviour as well as the wider economic impact on the countries hosting them. It is estimated that 11 million people travel annually to seek medical care out of their country, which is around 1 per cent of the global tourist volume. Medical tourism is today a $30 billion industry, having grown at an impressive rate of more than 15 per cent over the last decade. The top global medical tourism destinations include Thailand, Mexico, USA, Singapore, Malaysia, Brazil, Turkey, Taiwan, Costa Rica and India. Studies have shown that medical travellers seek treatments largely related to cosmetic surgery, cardio vascular, orthopaedics, cancer, dentistry, reproduction, weight loss, health screenings, transplant, ophthalmology, wellness and alternative medicine. India too has been a historical medical tourism destination, visited by a constant stream of health travellers seeking to heal themselves through Ayurveda. Over the last decade, India has grown to become a sought-after destination for medical tourism. Today, India is one of the top 10 medical tourism destinations in the world. Modern healthcare facilities, skilled doctors and low cost of treatment have made India a popular hub of medical tourism attracting a large number of patients every year. India’s medical value travel revenue recorded $3 billion in 2015. It received 4.95 lakh medical travellers during the year 2017 as against 4.27 lakh in 2016 and 2.34 lakh in 2015. With an estimated growth rate of around 20 per cent over the next two years, India’s medical tourism industry is expected to be worth $9 billion by the year 2020. Bangladesh and Afghanistan are the top two countries from where the maximum number of medical tourists arrived in 2017. Around 2.2 lakh tourists from Bangladesh and 56,000 from Afghanistan arrived in India for medical purpose. Other source countries from where a large number of medical tourists come to India include Iraq, Oman, Maldives, Yemen, Uzbekistan, Sudan, Kenya, Nigeria, Tanzania and Saudi Arabia. As per India Tourism Statistics 2017, 63 per cent tourists arriving in India from Iraq were medical travellers. Nigeria, Yemen and Afghanistan are other countries in which the share of medical travellers out of the total travellers coming to India was more than 40 per cent. With the cost of medical treatment in the developed Western world remaining high, the Indian medical tourism sector has an edge because of cost-effective medical care. Studies have shown that healthcare in India saves 65-90 per cent money compared to similar service in the United States. Indian doctors are recognised as among the best at the international level. Medical technology, equipments, facilities and infrastructure in India are at par with international standards. India has around 33 JCI (Joint Commission International)-accredited and 400 NABH-accredited hospitals, at present. The wait time for surgery and medical treatment in India are non-existent compared to Western nations, where patients have to wait for weeks or even months for life-saving treatments. The introduction of e-Medical Visa and e-Medical Attendant Visa for travellers has been a game changer for India. Medical travellers from 166 countries can arrive in India through 26 designated airports and five designated seaports with e-Medical Visa. Unlike other categories of e-visa, a traveller can enter the country up to three times with an e-Medical Visa. There is also a provision of issuing e-Medical Attendant Visa to two adult attendants for each patient. India has an unmatched heritage represented by its ancient traditional treatment methods such as Ayurveda, Yoga, Unani, Siddha and Homeopathy (AYUSH) which are now widely accepted as alternative treatment procedures in the entire world. India, with its ancient and modern heritage, diversities of culture and exotic destinations is always an attraction to international travellers. Medical travel offers a mix of pleasure, luxury and quality healthcare for medical patients coming to India. Realising the immense potential that the medical tourism market offers, it is now one of the priority areas of facilitation by the government. The vision and intention of the Union Government to promote and develop India as a medical tourism hub can be gauged from the fact that presently four ministries namely Ministry of Health & Family Welfare, Ministry of Tourism, Ministry of Commerce and Ministry of AYUSH along with SEPC and NABH are proactively involved. The Ministry of Tourism has also set up a National Medical and Wellness Tourism Promotion Board to look into various issues such as regulatory affairs, accreditation and marketing. The industry has also taken several initiatives for marketing and promoting Indian healthcare in key overseas markets and India at international platforms such as WTM London, ITB Berlin, FITUR Madrid and ATM, Dubai. Yoga, Ayurveda and Wellness are also finding prominence in print, electronic, online and outdoor media under the Incredible India campaign. While a lot is being done, India deserves a larger share of the medical value travel opportunity. 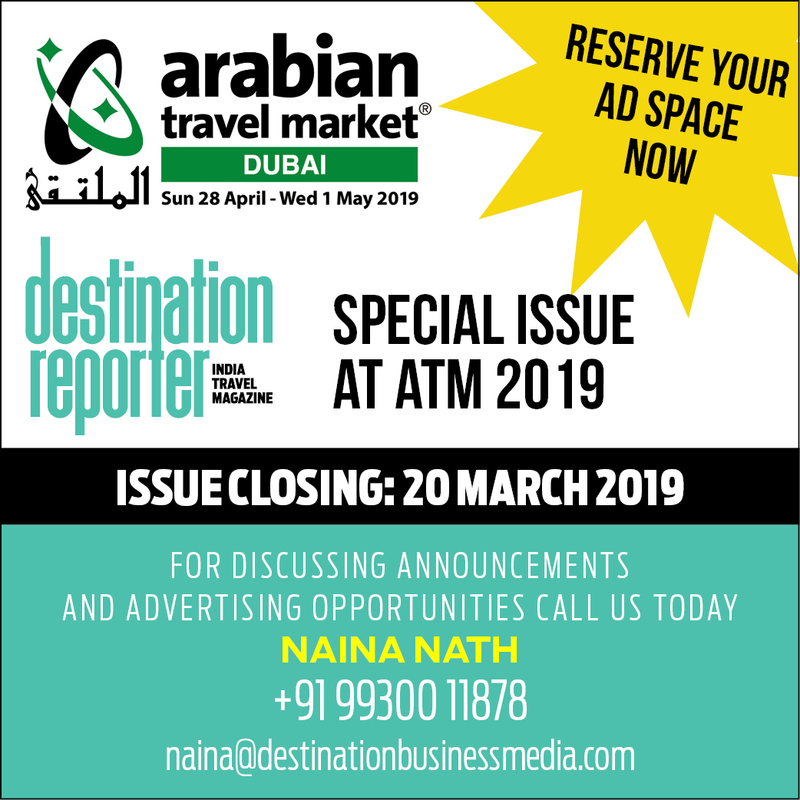 For making India a destination of choice for medical tourism for countries beyond South Asia and the Middle East, medical value travel stakeholders in India need to consolidate their efforts, design strategy to leverage the available opportunity and address certain key issues. Some such issues and strategies, for consideration of the Government, industry and other stakeholders are: India stands low in its regulatory regime compared to its competitors. The current regulatory regime needs to focus on some critical aspects like timely issuance of medical visa and registration of medical facilitators; the high cost of medical visa in India can discourage medical travellers from coming to the country. The present structure of medical visa fee needs to be revisited and rationalised; the more accredited hospitals a country has, the better its positioning in the global medical tourism arena. India must therefore aim to get more JCI and NABH accredited hospitals in the near future. India needs to be more ‘tourist-friendly’ for medical tourists coming to the country by way of ease of services at airports, faster immigration clearance for medical tourists, ambulance services at airports, proper transport infrastructure, affordable accommodation, food as per a patient’s requirement, hygiene and an environment of holistic care. India is on the right path to becoming a destination of choice for medical tourism. India today, is rightly called ‘the pharmacy to the world’. In order to achieve the stated vision of being ‘the provider to the world’ by delivering quality care at affordable cost, integrated effort by all key stakeholders including the government, health & tourism industry, service providers, facilitators and regulators is the need of the hour.